Amber is a beautiful sable merle marked white daughter of GCH Milas Pitch Black and Touchstone Sweet Iced Tea. 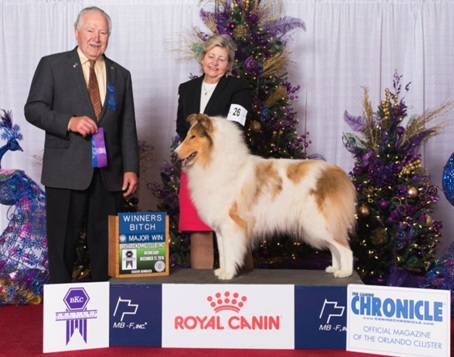 She was bred by Raymond Hokanson, and is owned by Debbie Jones, Lea Bertsch, Lynn Butler, and Lotta Hedman. Amber quickly finished her championship with three specialty majors at just over a year of age shown exclusively by Lea. Lea and I are delighted to have Amber with us in Texas. She is a sweet, self-assured diva and a fun-loving charmer. We will be showing her here and there and breeding her in the future.